A trio newspapers have enjoyed an increase in its Scotland circulation figures, year-on-year. Says the Audit Bureau of Circulation, the Scottish Daily Mail, The Independent and the Scottish Mail on Sunday each enjoyed an increase in sales in Scotland between July last year and last month of 1.19 per cent, 5.4 per cent and 0.46 per cent, respectively. Recent rises for the Sunday Herald have stalled slightly, with a 1.1 per cent year-on-year dip. 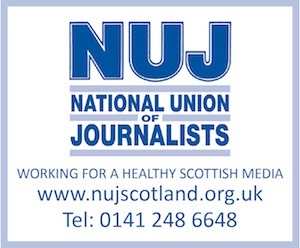 Scottish Daily Mirror (25,030 in July 2010 versus 27,581 in July 2009, down 2551 or 9.2 per cent), Daily Record (293,401 versus 308,454, down 15,053 or 4.8 per cent), Daily Star of Scotland (82,674 versus 90,317, down 7643 or 8.5 per cent), Scottish Sun (336,023 versus 361,578, down 25,555 or seven per cent), and Scottish Daily Express (70,107 versus 70,917 down 810 or 1.14 per cent). Scottish Daily Mail (117,228 versus 115,841 up 1387 or 1.19 per cent), Daily Telegraph (22,231 versus 24,233, down 2002 or 8.26 per cent), Financial Times (3829 versus 4200, down 391 or 9.26 per cent), The Herald (51,973 versus 55,707, down 3734 or 6.7 per cent), The Guardian (13,728 versus 15,351, down 1623 or 10.6 per cent), and The Independent (8091 versus 7677, up 414 or 5.4 per cent). The Scotsman (41,764 versus 45,080, down 3316 or 7.5 per cent), The Times (22,985 versus 26,576, down 3591 or 13.5 per cent), Daily Star of Scotland – Sunday (28,645 versus 29,851, down 1206 or four per cent), Scottish News of the World (263,041 versus 310,589, down 47,548 or 15.3 per cent), and Sunday Mail (354,519 versus 376,905, down 22,386 or 5.9 per cent). Scottish Sunday Mirror (22,456 versus 23,627, down 1171 or 4.9 per cent), The People (14,214 versus 16,619, down 2405 or 14.5 per cent), Scottish Sunday Express (36,354 versus 40,329, down 3975 or 9.8 per cent), Sunday Post (225,387 versus 237,935, down 12,548 or 5.3 per cent), and Scottish Mail on Sunday (98,631 versus 98,178, up 453 or 0.46 per cent). Independent on Sunday (6380 versus 6579, down 199 or 3.02 per cent), The Observer (17,635 versus 20,707, down 3072 or 14.8 per cent), Scotland on Sunday (48,610 versus 53,752, down 5142 or 9.6 per cent) and Sunday Herald (39,882 versus 40,312, down 430 or 1.1 per cent). Sunday Telegraph (18,127 versus 19,980, down 1853 or 9.27 per cent) and Sunday Times Scotland (60,291 versus 65,846, down 5555 or 8.4 per cent).